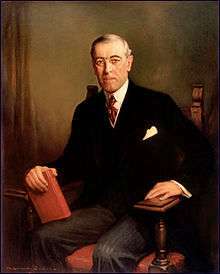 Following is a list of all United States federal judges appointed by President Woodrow Wilson during his presidency. In total Wilson appointed 74 federal judges, including three Justices to the Supreme Court of the United States, 19 judges to the United States Courts of Appeals, and 52 judges to the United States district courts. Clayton, Jr., Henry De LamarHenry De Lamar Clayton, Jr. N.D. Ala.
Holmes, Edwin R.Edwin R. Holmes N.D. Miss. ↑ Recess appointment; formally nominated on January 7, 1916, confirmed by the United States Senate on January 18, 1916, and received commission on January 18, 1916. 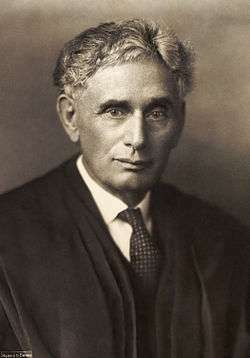 1 2 Recess appointment; formally nominated on May 23, 1919, confirmed by the United States Senate on June 24, 1919, and received commission on June 24, 1919. ↑ Recess appointment; formally nominated on April 12, 1913, confirmed by the United States Senate on April 24, 1913, and received commission on April 24, 1913. ↑ Recess appointment; formally nominated on December 15, 1916, confirmed by the United States Senate on January 2, 1917, and received commission on January 2, 1917. ↑ Reassigned on March 1, 1929 to only the Southern District of Mississippi. ↑ Recess appointment; formally nominated on January 4, 1916, confirmed by the United States Senate on January 24, 1916, and received commission on January 24, 1916. ↑ On May 22, 1918, McCoy was elevated to Chief Judge of the District Court for the District of Columbia, which is considered a separate appointment. 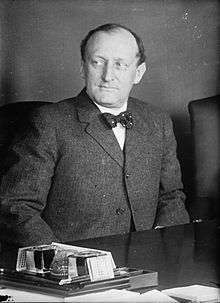 ↑ Recess appointment; formally nominated on July 2, 1913, confirmed by the United States Senate on July 21, 1913, and received commission on July 21, 1913.